"The most plainly obvious pop star you’re ever likely to see." That's how Vice Magazine described Banks, within 10 seconds of meeting her earlier this year. The LA singer-songwriter is certainly rather special: The sort of person who who puts her actual cellphone number on her Facebook page (it's really real). Banks is her surname - her friends call her Jillian. She started making music aged 15, when a friend gave her a toy keyboard to distract her during "a tough time" with her family ("parents fighting, being alone in the house"). Expressing her fear and loneliness through music helped her cope. "I became addicted ever since," she told Billboard. For years, she kept her music private, "because it was such an outlet for me". She enrolled in university, earning a bachelor's degree in psychology. Then she took a deep breath and uploaded a song to Soundcloud. Brooding and bruised, the darkly dealt R&B of Before I Ever Met You ("I never knew I could be broken in so many ways") was played a quarter of a million times before it got an official release at the start of the year. 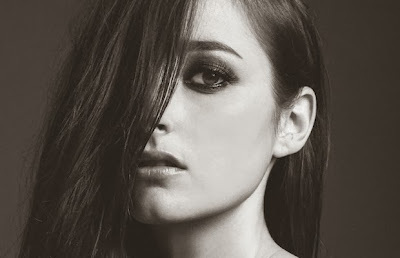 Banks has put out a couple more tracks since, of which the seductive Warm Water is the definite highlight. People have compared it to Lana Del Rey - and the two artists certainly share a femme fatale quality, but there's also a fragile intimacy to Banks's music that Del Rey never quite achieves. "I definitely want [my music] to be really cinematic; I want you to be able to visualize things while you're listening to it," she told Interview Magazine. "I just want everything to be moody — I want it to affect people." The 25-year-old spent the summer in the UK recording new music (and performing her first ever gig), which resulted in the London EP, which was quietly released onto iTunes a fortnight ago. The lead track is This Is What It Feels Like. Understated and beautiful, it's the sound of the ghost in the machine - if the machine was Frank Ocean's laptop. The video ("made possible by Garnier Fructis") was premiered on Noisey's YouTube channel last night, and finds Banks loitering in a kitchen during a calamitous storm. At least, I think it's a storm. 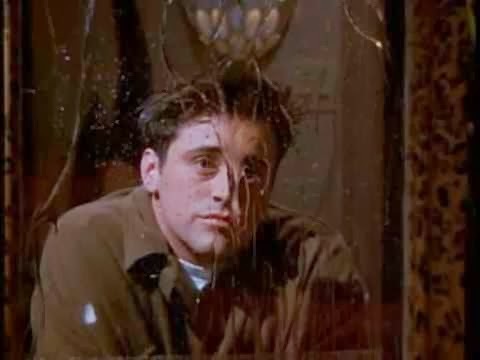 It might just be Joey's rainy window from Friends. Either way: Brilliant.